I had my propane tank filled last a couple of months ago while leaving a campground. Two weeks later I went on another campout and noticed my propane level at a quarter tank on the inside gauge. I checked the tank gauge and had the same reading. I don't smell a leak nor did the alarm go off so I was wondering if I got ripped off for a fill up or what else could have happened. All other propane appliances work fine. Jerome, it m ay be impossible to tell if you’ve been ripped off during your last refill, but you can determine if you have any LP leaks with 100% accuracy. You’ll need a water column manometer to perform a complete LP leak test. First check this; I’m not sure how old your RV is, but some LP ranges have a setting on the thermostat of the oven that allows pilot gas to enter the burner area. 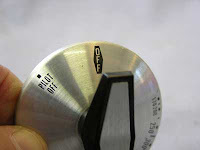 If you have a “Pilot On” or “Pilot Off” position on the thermostat knob, be sure it is in the “Pilot Off” position. Typically however, you would smell the presence of LP if this valve is left open. Be sure all four of the LP burning appliances are fully off. Also, keep in mind a small LP leak anywhere underneath the coach would, most likely, not be noticeable by nose. The LP would expand and dissipate quickly in the outside atmosphere. I recommend a full-coach LP leak test periodically. (I’ve sent you the complete procedure for leak testing your coach using a manometer). If a leak is determined, you’ll have to start eliminating appliances by capping off each appliance, one at a time, then running the leak test each time. In some cases, LP can leak “through” an appliance valve and you’d likely not even notice it. If none of the appliances are at fault, you’ll next have to bubble test each fitting in and around the RV. It’s not uncommon for flare nuts to loosen over time due to the jostling and wracking an RV goes through while traveling. Take your time; patience will pay off if a leak is indeed present. If no leak is found through the manometer tests, you can perhaps suggest the dealer did not properly fill the container at your last fill-up or you’ve used more LP than you first thought.